It’s always satisfying to finish a manuscript. No matter the length, it’s satisfying to know that you’ve put in so much time, sweat, blood and creativity into writing a story and that it’s finished, that you were able to get over your fears before starting, keep going, and see it to the end. And after attempting a third draft a little year ago, failing miserably, and taking a year to work up the courage to try again, it’s especially satisfying. Hell, I even bought fancy honey-wine to celebrate this momentous evening. Now if you’re unfamiliar, Rose is a novel I originally wrote as my college thesis. It follows an amnesiac woman named Rose whose body starts to go through incredible, terrible, magical changes. The only source of information on her condition is a man who claims to be her boyfriend, but he’s got some terrible secrets and isn’t all he claims to be. It’s a dark and bizarre story, with themes of dependence and abuse, perception and memory, in a story influenced by Stephen King’s Misery and Japanese mythology. It’s also been the most challenging story I’ve worked with. I had to scrap my first attempt to write it because I made the story too bizarre, sprawling and complex, then go back and make it a bit simpler and contained. Then I had to write an entire first draft, then a second draft within a few months. Then I had an internship in Germany and a job search, followed by an attempt at the third draft. That draft, as I said before, was a complete and utter disaster due to the lack of routine I had at the time. I took it up again back in late June, after I needed a break from sci-fi and Full Circle and, with a routine, I managed to get through the draft in about four months, incorporating the suggestions from my thesis advisors to great effect while I was at it. And I’m very proud of this draft. Every time I’ve worked on this story, it’s changed significantly. Plot points, emotional connections, characterizations, they’ve all gone through some incredible rewrites. With this particular draft, I feel like I’ve been editing the work of a different author, giving his work a much-needed makeover. I even added an original chapter to the manuscript, which also took the top spot as the longest chapter in the novel (I spent two week with Dragon Speech-to-Text software writing that chapter so it wouldn’t take a month or longer). And while this story is far from “done” (my high school English teacher said that stories are never “perfect,” because that’s impossible. But they can be “done,” where you can’t do anything more to improve it. It’s just “done”), it’s definitely in a much better shape than it was at the end of the second draft. It’s a draft I’d actually be proud to show other people. Now before I show you what’s up next for Rose, indulge me in my bad habit of looking at page and word counts. Which with this novel is actually necessary: my advisor told me to double the word count of the novel when I did the third draft (I’m pretty sure it’s double the word count now, not add ten or twenty-thousand words). So how did I do with that? Well, at the end of the second draft in spring of 2015, the page count was (with 8.5″ x 11″ pages, double-spaced, Times New Roman 12-point font) 164 pages. With the third draft, the page count is 266 pages, an increase of 102 pages. With the word count, the second draft was a whopping total of 48,914, a respectable novella-length story. In the third draft, I got the word count up to 84,677, a good-size novel, just a bit shorter than Harry Potter and the Chamber of Secrets. And I like to think that every new word was necessary. I really had the chance to delve deeper into the characters, as well as the events that made them who they are. All in all, I think it’s a more fleshed-out novel. Of course, critics, readers, and editors are free to disagree with me. We’re a democracy, we’re allowed to do that, even if others don’t like that. No return to Full Circle just yet. I’m still not ready to return to the world of Reborn City and finish the trilogy. Yes, the first draft needs ending, but I need a bit more time and a bit more horror before I do any more sci-fi. And since I don’t exactly a legion of fans breaking down my door to know when the story will be out, I think I can afford to take some time (George RR Martin wishes he was me in that respect). Beta readers and submissions. I have a couple of beta readers who have agreed to take on Rose, read it and give me some feedback (I’m sending the manuscript to them right after I’m done with this post, as well as backing up my flash drive so I don’t lose the novel). The plan is to take their feedback and incorporate it into the novel if I feel it works for the story. And after that, I’ll start submitting Rose to publishing houses and agents that specialize in horror. Hopefully it’ll find a home soon, and I can get it published. After that…well, I’ll see when I get there. Some shorter works. I have a list of short stories and novelettes that I keep so I don’t forget any of the fabulous ideas I have. It’s currently 57 pages long and closing in on 800 ideas. I figure I should at least get through some of those, as only a few of them are crossed off with at least having a first draft written out. I already have another list of stories I’d like to work on in particular, and I’ve picked my first from that list. I might even get started on it in the next week, after I do a bit of research for it. And maybe after a few of these stories are written, they’ll get published. Fingers crossed, right? And that’s where things stand right now. I hope you continue to stay with me as I move onto the next stage of this novel’s evolution, and maybe write the next stage of my writing career. Until my next post, goodnight Followers of Fear, and pleasant nightmares. Full Circle: Halfway Through the First Draft!!! So yeah, either way it’s a milestone to celebrate. So if you didn’t read my last post, Full Circle is the final book in my Reborn City series, which follows the Hydras, a street gang whose leaders have superpowers in a dystopian city-state in the near future. The story contains themes of prejudice, gang violence, drug addiction, and overcoming what you and others think of you. 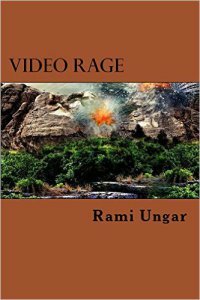 The first book is called Reborn City, and the second is called Video Rage (one year anniversary of publication was today!). Full Circle, as I said, is the final book. Honestly, I’m a little disappointed that it took me this long to get this far writing a novel. I haven’t taken this long to write a book since Reborn City. 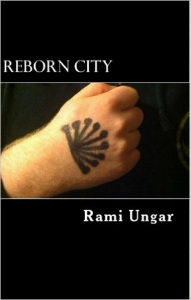 Then again, like with Reborn City, I’m writing in my spare time. I work a full-time job. I’m actually less busy than when I wrote Reborn City in high school, when I had school and homework and an after-school job and lots of TV on DVD. I should be grateful that it only took me seven months to get this far, rather than a year or so. I also watch most of my TV with meals these days (two birds with one stone), and I use Dragon software these days, so that probably made a difference. Anyway, onto page and word counts. In terms of pages (8.5″ x 11″, 12-point font, Times New Roman, double-spaced), I’m currently at a whopping 213 pages. Pretty decent for a halfway point, though it’s probably going to change between drafts and when it gets published, we’ll have an all-new page size to contend with. As to that more easily measured standard, word count, we’re at a truly staggering 60,656 words! I’ve mentioned that 60K words is where I consider a story a novel, so this is definitely novel range. I wonder what we’ll get when we reach the end of the first draft? Both RC and VR were between 80K and 100K, so I’m curious to see where FC ends. With only a few more chapters till we reach the final battle of the story, I think it might stay within that range, but you never know. And how is the first draft? Well, I don’t want to say crap…but it’s crap. No, that’s fair. It’s a first draft, and they’re notable for being rough, poorly edited, and in need of a lot of work. The greatest novels always start out as poor first drafts. I’m not saying any of my work is considered that way, but I think that maybe I could someday produce work that great. Anything’s possible, after all. Point is, I’m making progress on the first draft, and while it’s not the best quality it can be, someday it might be. Well, that’s all for now, my Followers of Fear. The weekend is almost upon us, and I’m looking forward to some rest. Until next time, pleasant nightmares! Hey Followers of Fear. My latest article for Self-Published Authors Helping Other Authors, Dragon Speech-to-Text Software: A Review, has just gone live on the site. Yeah, a review about something other than a horror story. Who’d have thought that would happen? About a month or two ago, I ordered Dragon Naturally Speaking, which is a software where you speak to your computer and your computer records what you’re saying, on the recommendation of my boss and some writer friends in the hopes that I could improve my writing with it. Turns out, it works very well for me (maybe because I love the sound of my own voice). Anyway, I decided to publish a review on Self-Pub Authors because that gets a very wide audience, and I think a lot of authors there could benefit from knowing about the software. Anyway, if you get a chance, please check out the article, as well as the rest of the website. Self-Published Authors Helping Other Authors is a great resource for authors of all backgrounds on writing, editing, publishing, and marketing your works as effectively as possible. Believe me, I’ve found it very helpful in the past. That’s all for now. I hope to have another article on this blog out later this week, so keep an eye out for it. Until next time, pleasant nightmares. Well, this took longer to do than expected. I started writing this novel in November, and it’s late February now. I hope this isn’t an indication of how long the rest of the novel will take. So if you’re unaware, for the past couple of months I’ve been working on Full Circle, the final novel in my Reborn City trilogy.The RC trilogy follows the Hydras, a superpowered street gang living in a dystopian future. Amongst its main themes are the horrors of prejudice and hatred, gang violence, drug addiction, and above all, learning to overcome what you and what others think of you. I started writing this trilogy in high school, and it is so crazy that I’m finally on the last book. Even better, I made it to the first real milestone. Okay, technically with thirty-five chapters, there is no even point where it’s off the fourth of the way through, but being nine chapters and is close enough. And while as a first draft this novel is going to need a lot of work (pretty sure that the first two chapters are going to need lots of revision), I think I’m off to a very good start. I’m doing a good job of reintroducing the world to readers who haven’t been back in a while, introduce some really cool villains, and set up an intriguing plot. Plus, I feel like this novel is going to show how much I’ve matured as a writer. You really get this on mature sense of style and storytelling from reading this book. Even if it isn’t horror, this might be my best work yet in some respects. All right, now for page and word count, which is something I always include with these updates. In terms of pages (which means 8.5″ x 11″ size pages with 12-point Times New Roman font and double-spaced lines), the total is 106 pages, with the average page number per chapter being 11.7. In terms of word count, the total is 30,313, a decent-sized novella, with the average word count per chapter being 3,368. Not bad, if I do say so myself. So how will things go from here on out? Well, despite my worries at the beginning of this post, I’ve actually started speeding up my writing. This is in thanks mostly to Dragon, a speech to text software that I bought and downloaded onto my computer. Basically what I do is I narrate the story myself, and Dragon puts what I say on the page. What might take me two hours to write now takes closer to a half hour, forty-five minutes. It’s quite handy, and I plan to do a full post on it on Self-Published Authors Helping Other Authors in the near future. The point being, hopefully it won’t take another four months for me to reach the halfway point of the novel (which I’ll say is Chapter 18 for simplicity’s sake). And I have some interesting chapters coming up, so that’s even more reason to write. Chapter 10 is going to give us a look at most of the villains in this book, and I’m really looking forward to exploring them a little bit. I’ve actually made some of them a little scary. Like, Stephen King – style psycho crazy villain scary. And I always have fun writing those sorts of characters. Plus we have some new revelations about certain characters, a little character development, and a location I’ve been saving to explore for this last book. Should be fun. Well, that’s all for now. If any of what I’ve said here is made you want to check out the Reborn City trilogy, I’ll include the links below. And if you do decide to check out my books, please let me know what you think. Positive or negative, I love feedback and I would love to hear yours. Until next time, my Followers of Fear. Pleasant nightmares! 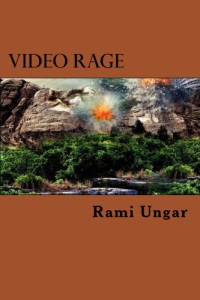 Video Rage: Available from Amazon, Kindle, Createspace, Barnes & Noble, iBooks, Smashwords, and Kobo.